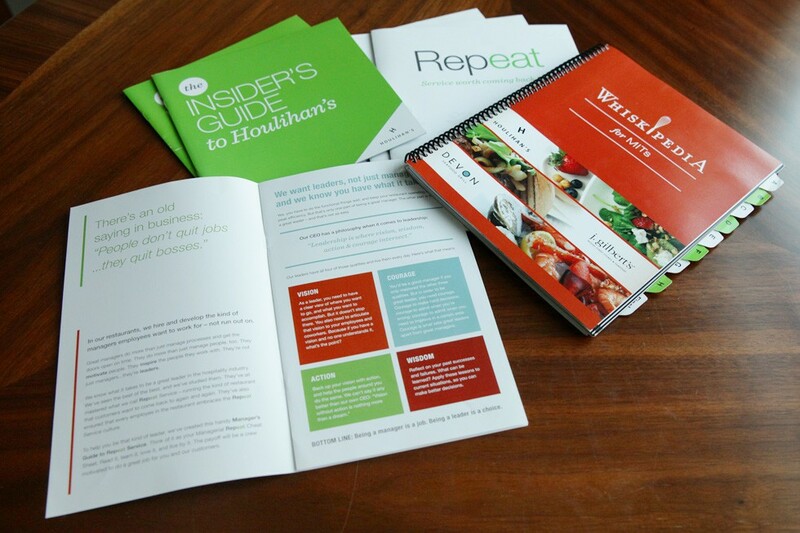 In collaboration with the wonderful communication and content writing experts, Crescenzo Communications, we joined this great team to revamp Houlihan’s internal training materials. 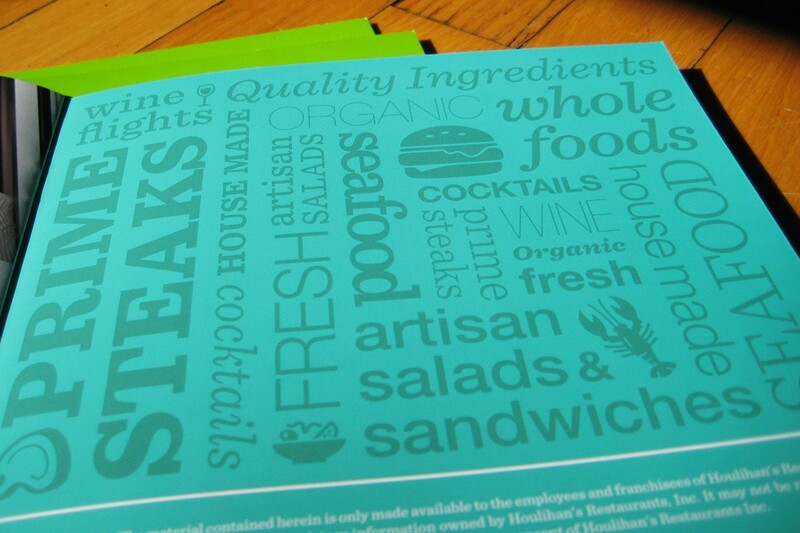 Houlihan’s is a popular American restaurant chain with personality and a fun atmosphere. 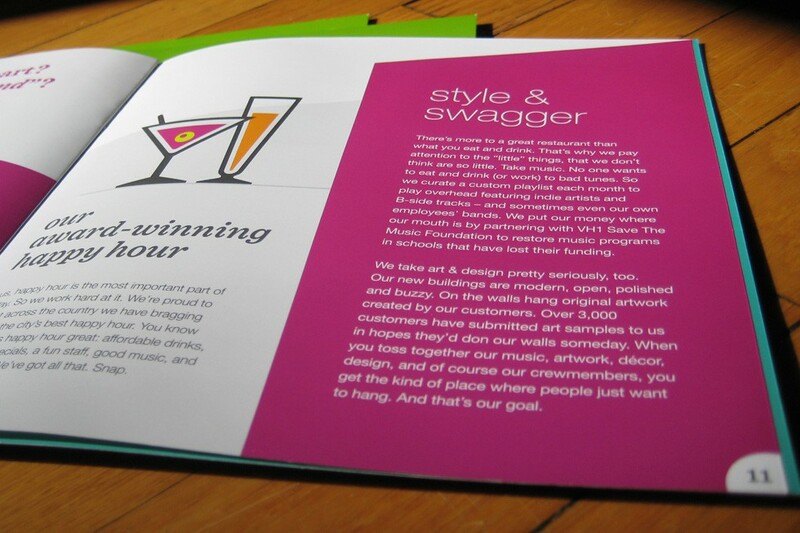 They have several locations across the country. 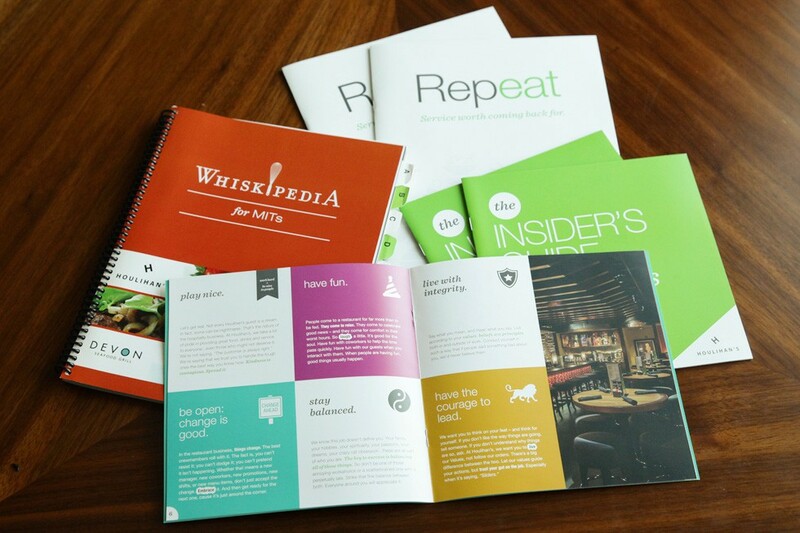 Our goal was to bring their unique personality visually into their internal material while still allowing the content to speak clearly to their training staff. 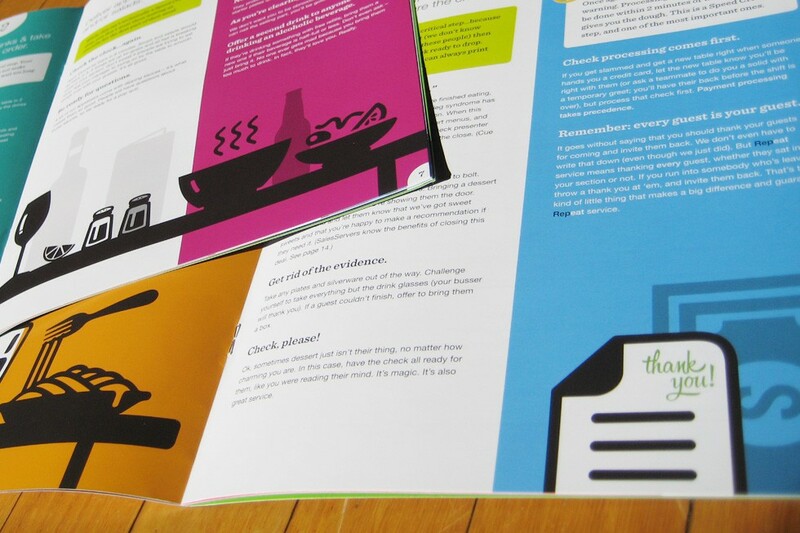 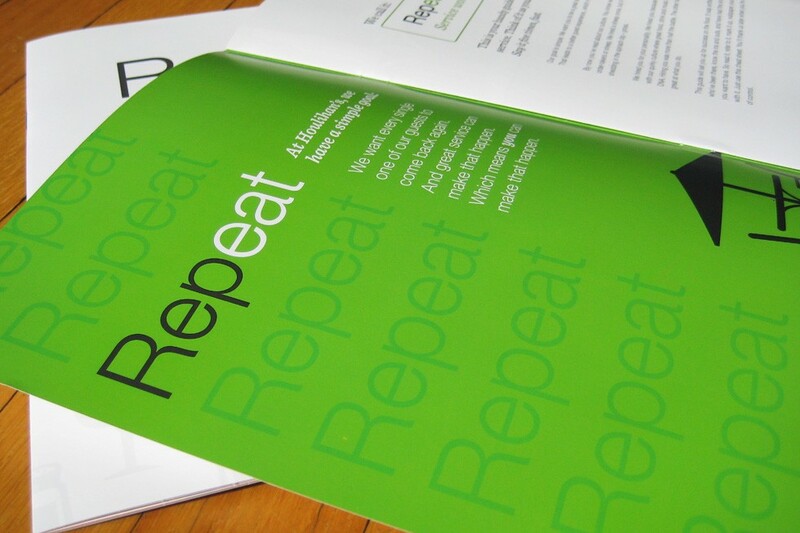 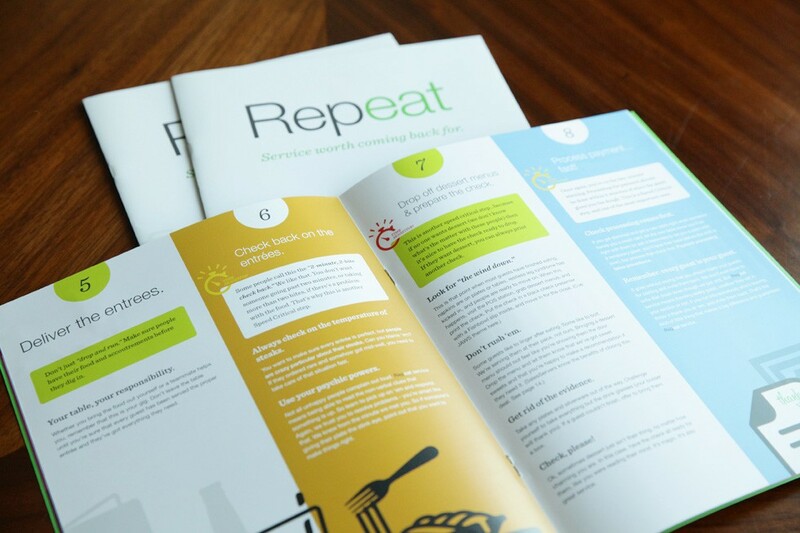 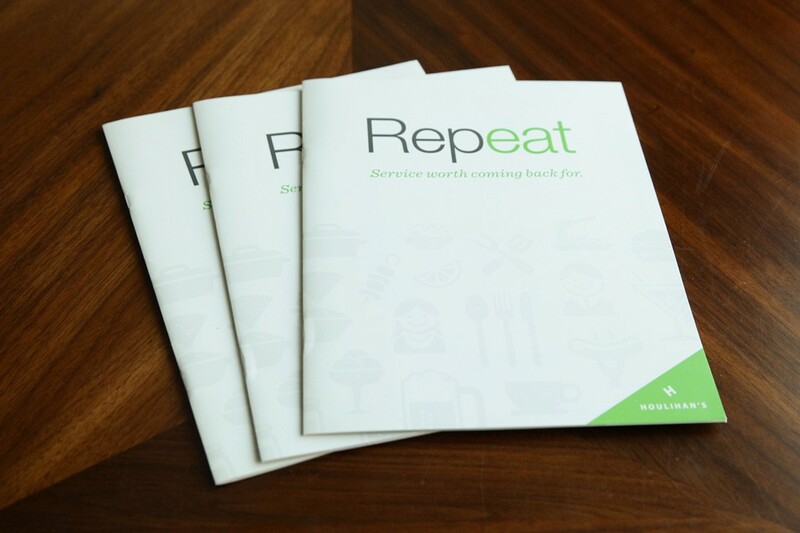 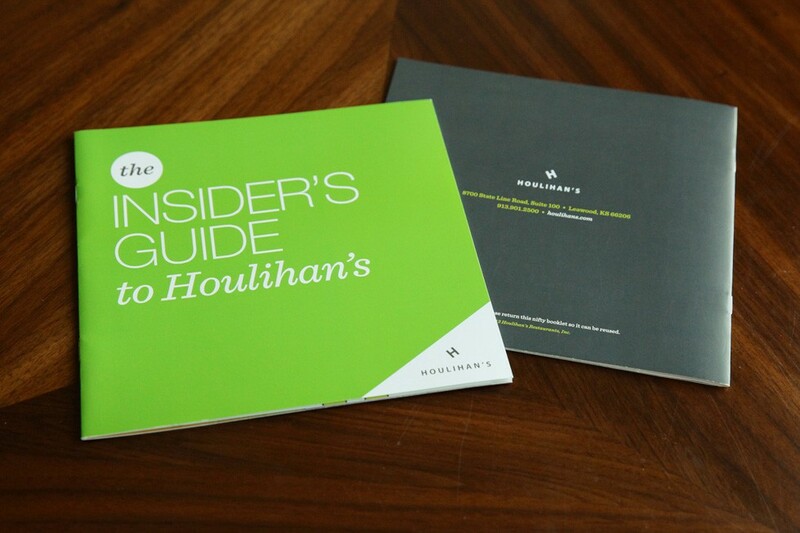 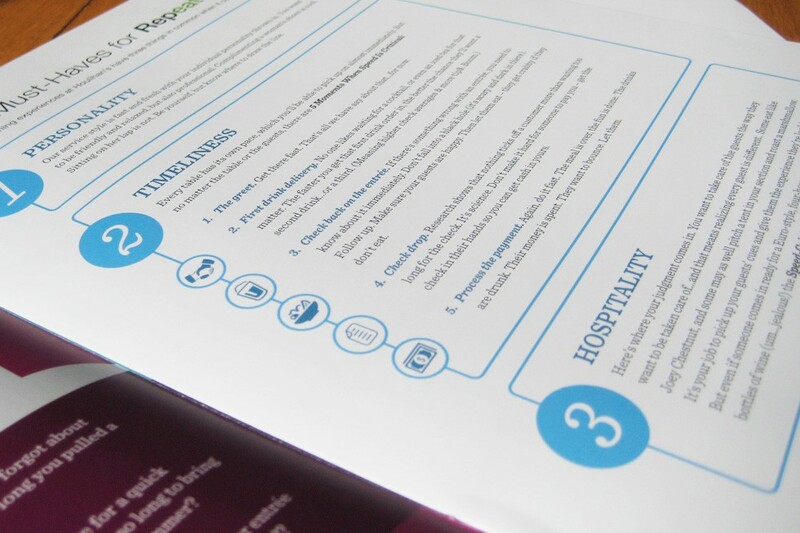 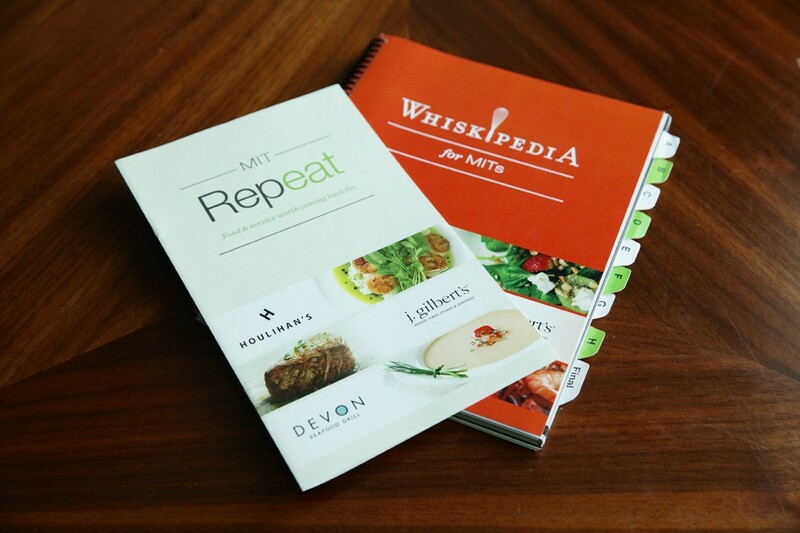 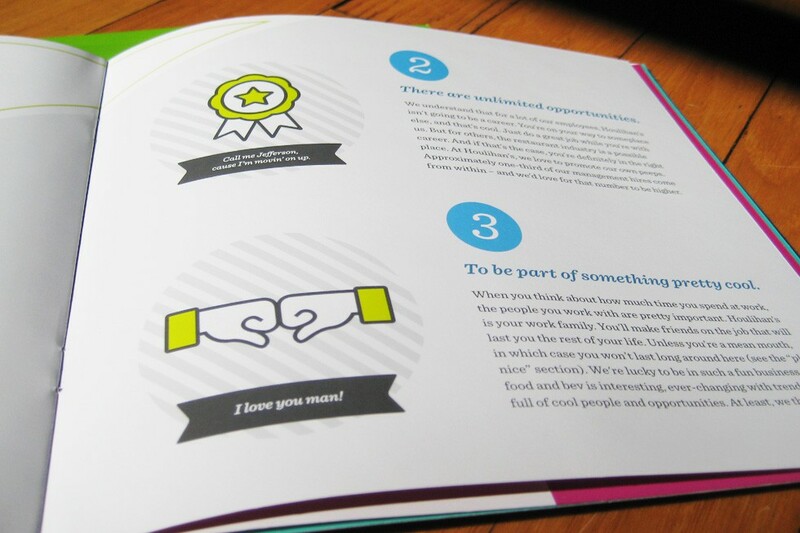 Following Houlihan’s current branding direction, we designed a few booklets used through their training process. 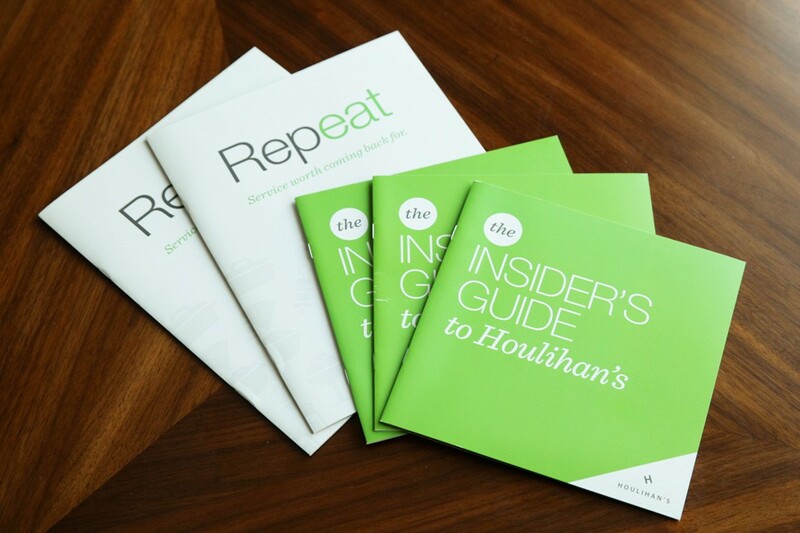 The two more creative pieces showcased here are the Insider’s Guide to Houlihan’s and the Repeat booklet. 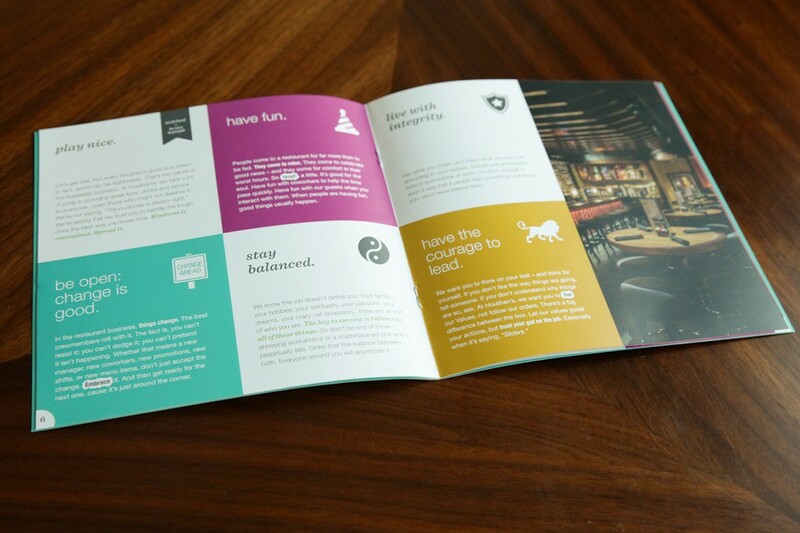 Using bold colors and simple illustrations, we had the freedom to push the creative boundaries of traditional, boring training material and made the content feel much more fun, inviting, and entertaining for the trainees.